In a hotly contested race, two new chief rabbis were elected Wednesday in Israel, both the sons of former chief rabbis. Rabbi David Lau, son of Rabbi Yisrael Meir Lau, won the Ashkenazi position, and Rabbi Yitzchak Yosef, son of Rabbi Ovadia Yosef, won the Sephardi spot. Israel, as a Jewish and democratic country, does not have separation of church (or synagogue) and state. The chief rabbi is considered the ultimate address for all state questions on religion and is responsible for running the Rabbinate, a body which determines all religious status questions for the country. Among other things, this includes kosher certification, conversion, marriage and burial. Since Jewish tradition in the diaspora grew in two separate directions based primarily on geography, two rabbis hold the title of Chief Rabbi. The Ashkenazi Chief Rabbi represents the traditions of Jews from mainly Christian countries and the Sephardi Chief Rabbi represents the traditions of Jews from mainly Muslim countries. The chief rabbis are elected once in ten years by a body of representatives made up of 80 local rabbinic authorities and 70 government laypeople. The rabbinate in general has come under attack because it is seen as being unnecessarily strict in its interpretation of Jewish law. Secular Israelis increasingly consider the body irrelevant and have called for its disintegration. As such, the national religious camp had supported what it considered more moderate candidates in an effort to find a chief rabbi the whole country could rally behind. Their preferred candidate for the Ashkenazi position, Rabbi David Stav, took only 54 votes to Lau’s 68. 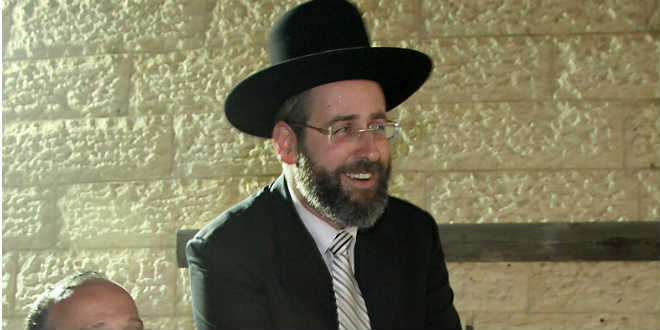 The third Ashkenazi candidate, Rabbi Yaakov Shapira, received 25 votes. A voting agreement saw Lau’s and Yosef’s supporters voting for each other’s candidates, so that Yosef, too, garnered 68 votes for Sephardic chief rabbi. Other candidates Rabbi Shmuel Eliyahu and Rabbi Zion Boaron received 49 and 28 votes, respectively. Both new chief rabbis are considered Haredim, or Ultra-Orthodox. Some see this as a continuation of the current state of affairs, which is mired in conflict. Jewish Home MK Naftali Bennett, however, expressed his view that things are beginning to change for the better. His party supported Rabbi Stav in the race, but he was quick to congratulate the winners. “The election campaign highlighted the need for significant changes in the Rabbinate,” he said. Referring to changes in the way religious councils are formulated, he added, “The revolution has already begun.” He expressed his belief that the new chief rabbis would be a part of that revolution. Rabbi Lau has been serving as chief rabbi of the city of Modiin until now, a city with a population that runs the gamut of religious Jewish observance. There, he claims, he succeeded in creating an environment of cooperation between people of different backgrounds who “look for the light in Judaism”, and wanted to recreate that on a national level. Ahuva Balofsky is a senior reporter for Breaking Israel News. She grew up in Toronto, Canada and obtained her B.A. Hons. and B.Ed. at York University. Ahuva taught Tanach, Rabbinics and English at the Community Hebrew Academy of Toronto. 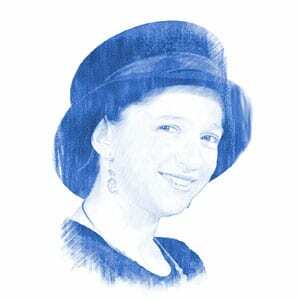 After making Aliyah in 2004 with her family, she completed a Master's degree in Tanach at Bar Ilan University, and currently teaches Bible studies and English.